Consumers are also citizens, and they don't leave their values behind when making purchase decisions. They are becoming increasingly concerned about the social purpose of the brands they choose. 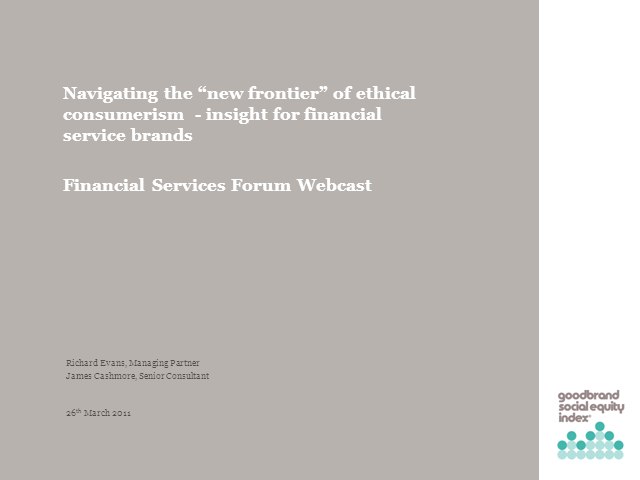 We learn about the Goodbrand Social Equity Index, and interpret fresh research into the extent that financial services brands can differentiate themselves positively among consumers by aligning to social, ethical or environmental agendas.